The material of ceiling curtain track can be aluminium alloy,aluminium. We can cut the length from 1 meter to 6 meter according to your requirement. The install can be ceiling mounted or wall mounted. 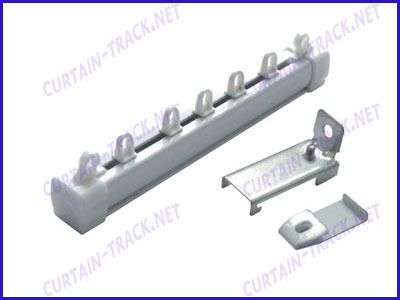 The complete sets include curtain runners, curtain caps, curtain bracket etc.We accept OEM or ODM. Complete sets:curtain runners, curtain caps, curtain bracket, etc. 20 or 40 pcs of ceiling curtain track per bundle.We can pack according to your requirement also. We offer ceiling curtain track with very good quality and competitive price.